Flat For Sale in Harrow, Middlesex for Asking Price £225,000. Last Apartments Remaiining With Help To Buy Available. 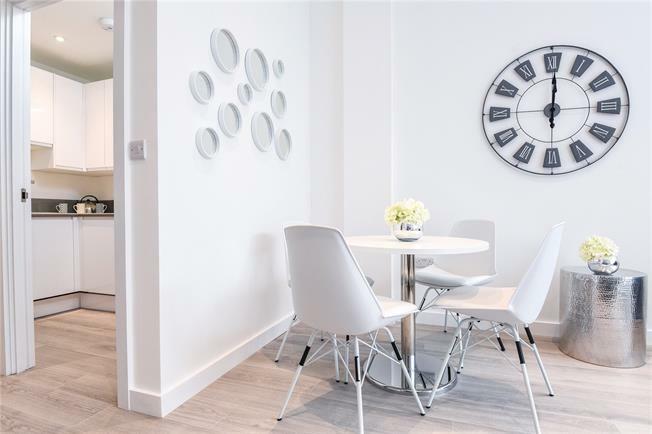 A superb selection of studio apartments located in Rayners Lane and benefitting from being conveniently located for Rayners Lane Piccadilly and Metropolitan line Station and serviced by a number of bus routes to the surrounding areas. Studio Apartments benefit from a fitted Kitchen with integrated appliances, a contemporary shower rooms, fitted wardrobes and flooring throughout. - Fully fitted contemporary high gloss Kitchen with Integrated appliances to include Oven, Hob, Cooker Hood. Stainless steel sink and chrome mixer tap. - Luxury laminate flooring to Entrance Hall and Living area. - Lifts to all floors. To arrange a viewing or for further information, please contact Preston Bennett New Homes on 020 8954 8626. Rayners Lane is a suburban district in the London Borough of Harrow in northwest London between Pinner and West Harrow. The area is most widely known as the location of Rayners Lane tube station, first built in 1906. The station links both the Metropolitan and Piccadilly lines and therefore has good connections with the rest of London. Lane boasts some excellent restaurants for a local evening. The area has two local parks, Roxbourne Park and West Harrow Recreation Ground. Both have tennis courts and vast green areas perfect for lazy sunny afternoons.